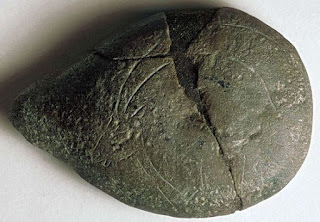 For some time I have been fascinated by the cultural revolution that occurred 6000 years ago, when millenia of hunter gathering was overtaken by new stone age farmers. The Neolithic spawned new ways of thinking and living together. 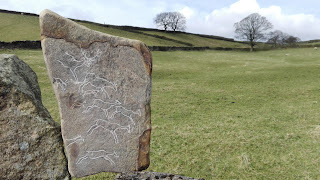 It gave rise to a sophisticated cosmology, the evidence we can still see in standing stones, circles and rock cut pictograms. In a world where metal had yet to be smelted from rock, all tools, clothing and shelter had to be made from wood, antler, bone and stone. 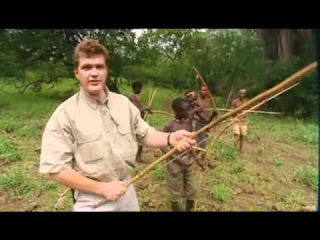 Our ancestors' ancient living skills continues to this day in the few hunter gatherer societies remaining on earth; the Hadzape and San are notable in East and Southern Africa, still clinging on to cultures largely unchanged in tens of thousands years. This is despite persecution, marginalisation and poor representation in political circles. 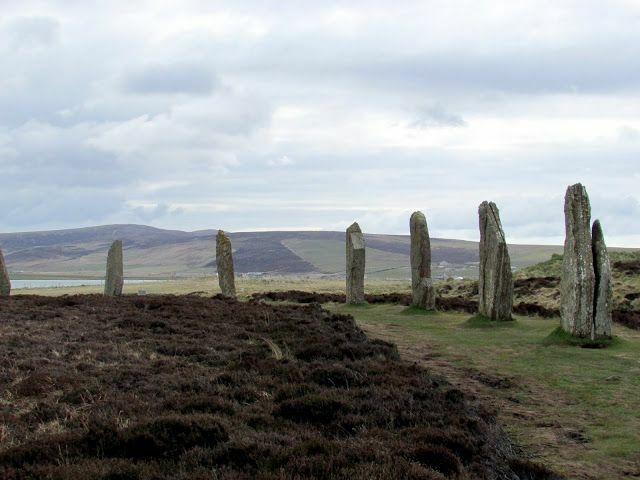 In the UK, ancient living skills have enjoyed a resurgence. Mostly due to the television programmes of Ray Mears, inviting millions of viewers to join him vicariously on Bushcraft journeys, which inspired people to reach out and rediscover ways of life almost lost to us. 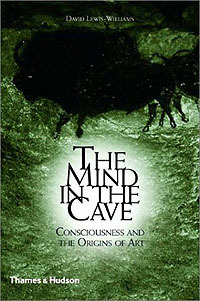 In his book The Mind In The Cave, archaeologist David Lewis-Williams, discusses the development of human consciousness and what made our homo-sapiens ancestors decorate caves and rocky outcrops with images of bison, deer, horse and other species. He theorises that human brains' evolved a higher level of consciousness, gaining the ability to conceive abstract concepts such as the future and plan complex and cooperative activities such as hunting. This is what made humans fully modern. It is what differentiated us from other mammals and importantly other homo-species. It offers an explanation as to why the Neanderthals, with a lower level of cognitive thought, might only be able to conceive of the present and short term future. It certainly fits with Neanderthals' apparent lack of elaborate funerary practice and functional but basic tools. 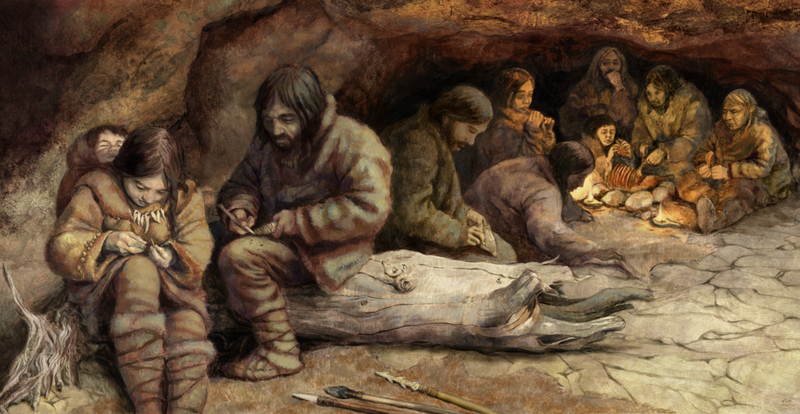 The rise of the homo-sapiens in the upper paleolithic was accompanied by fine microlith tools, burials accompanied by grave goods and most probably, language. This said, Neanderthals were a successful species, they existed for some 200,000 years and were adapted to their environment. But, in Darwinian terms, competition is a catalyst for change. Competition for resources, such as game, between the Neanderthals and early homo-sapiens could have accelerated the development of a higher level of consciousness and ability. We don't know whether this competition manifested itself in conflict, but we do know that as the range, and culture, of homo-sapiens expanded, the Neanderthal population ebbed away. Lewis-Williams proposes that this higher consciousness and development of language had to go hand in hand. Such sophisticated concepts such burials with artefacts (indicating belief in some form of after life) and communication of corralling hunting techniques could only be done with the aid of language. Also, why would humans go to such extraordinary lengths as to journey deep into cave systems, far deeper than necessary for shelter, to paint images. A plausible explanation is that these were part of a shamanic, or spiritual experience, only possible in a brain which had evolved to be capable of such thought and abstract ideas. To create deep cave art, such as that created in Lascaux and Chauvet, people must first have been able to see what they were doing. 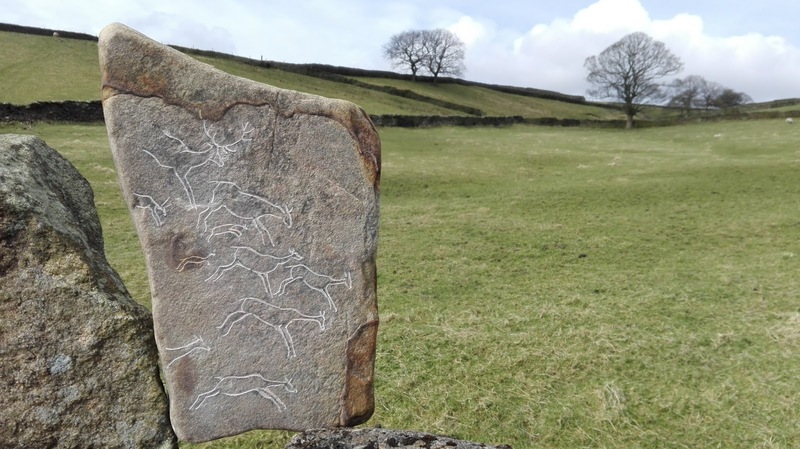 It's here that the archaeological record can help us. Found in the La Mouthe cave in the Dordogne was a stone lamp. It's a simple thing when viewed with 21st century eyes used to microchips and instant worldwide messaging. 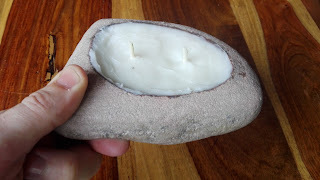 However, if we consider the dexterity required to craft the lamp and the ingenuity to visualise the outcome of it containing a burning wick fuelled by animal fat, then this is indeed a remarkable object. Especially so, given that the oldest paleolithic art dates to around 37,000 years ago. 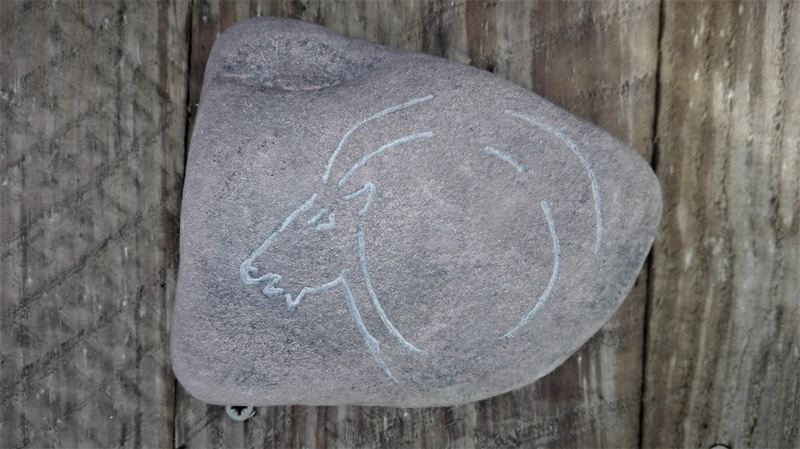 However, on the underside is an etching of a ibex head with exaggerated curving horns. This image would not have been seen when the lamp was in use. Even if we consider is no more than an adornment, that someone thought to embellish the lamp further demonstrates a high level imaginative thought. More evidence of homo-sapiens ability to out-think, out-perform and out-complete the Neanderthals. I selected a piece of Orcadian sandstone for this project. Firstly because it had already been naturally eroded by the sea to a shape which already offered a convenient hand hold in one corner. 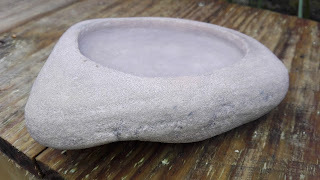 Secondly because sandstone is readily shaped and the 'well' would be more easily formed, compared with harder rock. For the animal fat fuel, I used lard bought from my local village shop. 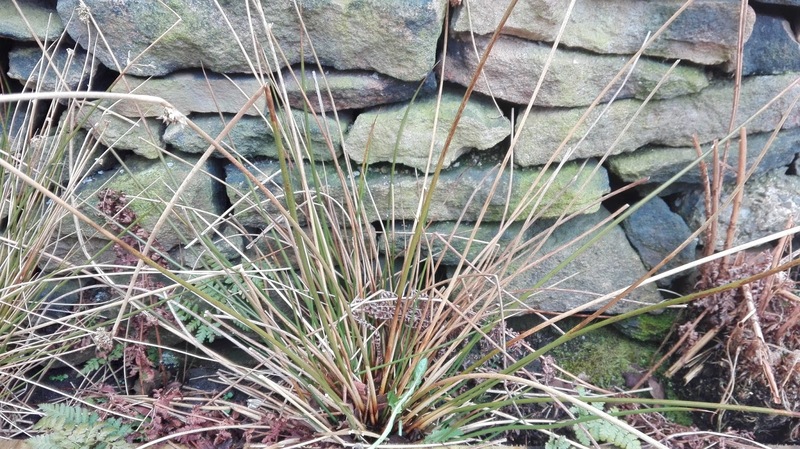 The wick I selected Soft Rush Juncus effusus. 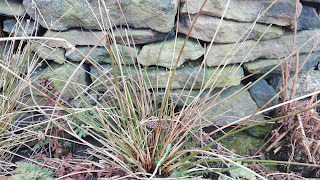 This is a common moorland species of tall rush (to 130cm) which is densely tufted and grows straight up. They form dense stands, the stems are smooth cylinders that contain a continuous foam-like pith. It is the pith which is required to make the wick. 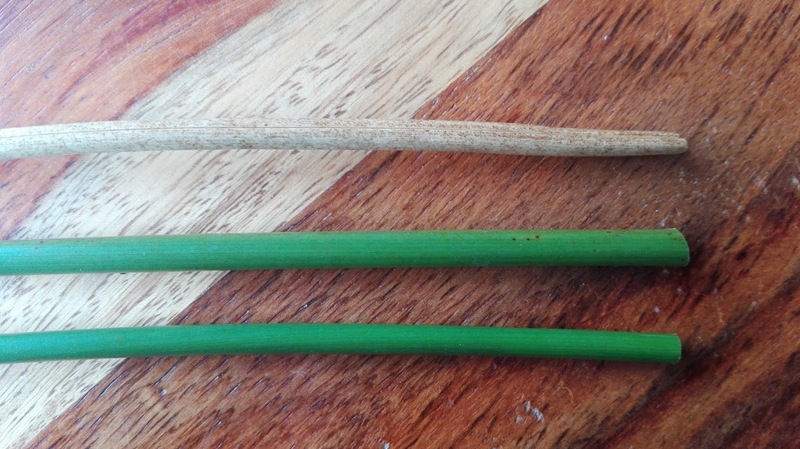 I took three pieces of different ages, from fresh growth to a dying stem. The outer stem of the greener shoots was much easier to peel back and retain a continuous length of pith. I then set the pith in the lard and smeared some lard on the pith to prime it. Most often Bushcraft is promoted as a set of skills. In itself, these skills provide a marvellous journey of discovery for the practicioner. 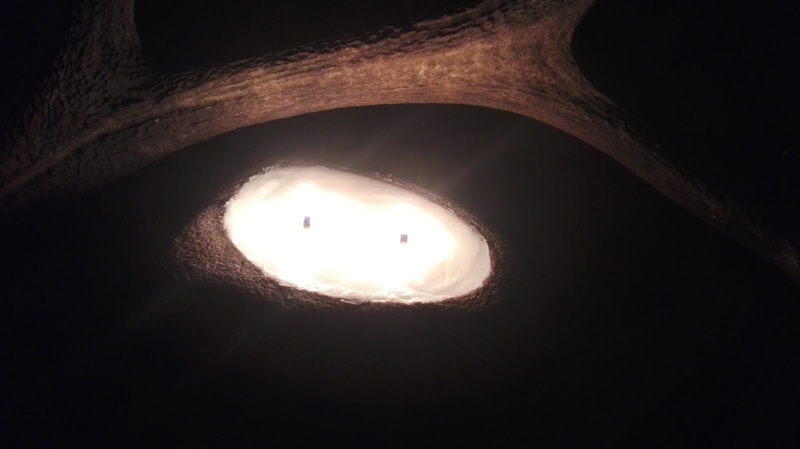 What the Paleolithic Lamp experiment demonstrates is that enjoyment can be taken further by imagining not just how, but why our ancestors did what they did. The Belgian Ardennes, a region of rolling hills, rough terrain, ridges and steep sided valleys cut by swift flowing rivers. Much of the area is covered by seemingly impenetrable forest. 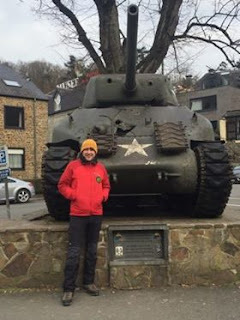 For those with an eye on their history books or the landmark television series Band Of Brothers, the Ardennes are steeped in legends. The Belgae tribes were a thorn in the side of Caesar's Roman ambitions, Napoleon III was defeated during the Franco-Prussian war in the nearby Battle Of Sedan and of course the Ardennes winter nearly did for the 101st Airborne in the Battle Of The Bulge. In modern day Belgium access to the countryside is largely via GR (Grand Randonne), Regional or local Promenade Routes, usually marked with coloured symbols. 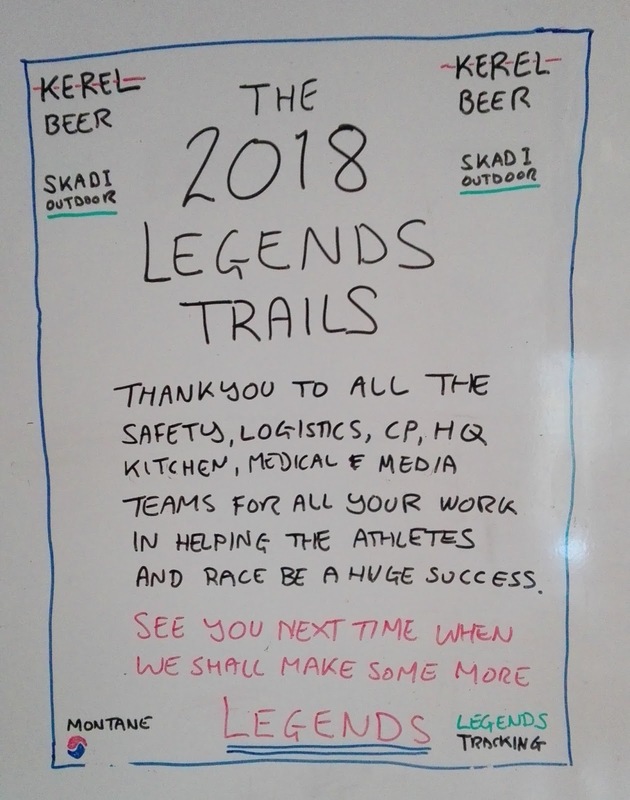 With this in mind, Tim de Vriendt and Stef Schuermans, Race Directors of Legends Trails have done a superb job in negotiating local and regional by-laws which would have put off lesser event organisers. 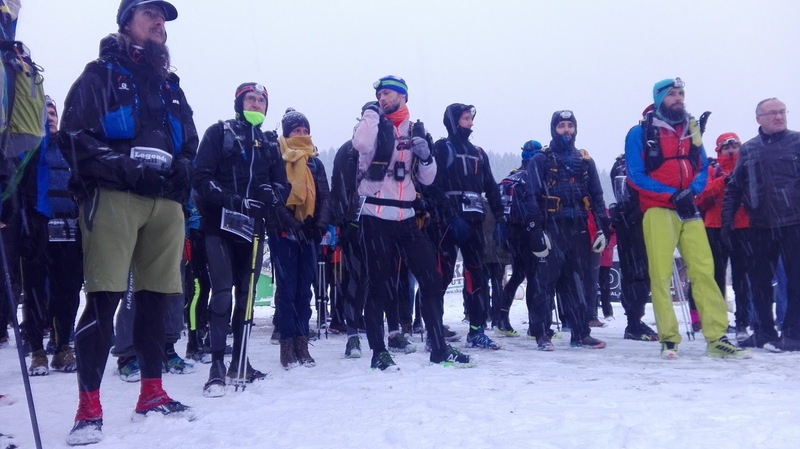 They have threaded a 250km course which gives a full flavour of the Ardennes and offers a challenge worthy of the legions which have trod, strived and crawled through its tough terrain. 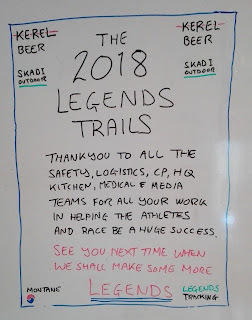 The Legends Trails, now in its third successful year. Each edition has been different, the weather, the strategies and superb racing stories, from the winners to the endeavors of the Lantern Rouge to beat the cut-off time. Tim and Stef have built a quality race with generous home cooked food, enthusiastic volunteers, a specialist medical team and a dedicated HQ team, organising logistics and taking care of safety matters. Each participant is also equipped with a tracker from Legend's Tracking. In 2017 we saw the first two British finishers, Ryan Wood and Allan Rumbles. Perhaps it is no coincidence that both are also finishers of The Spine Race. Is the Legends Trails a tougher race than The Spine Challenger? Almost certainly yes. But is it as tough a proposition as the Full Spine. 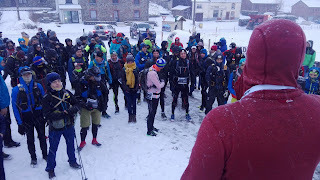 What we can say is that while the distance is shorter, the Ardennes terrain offers little opportunity to settle into a rhythm. 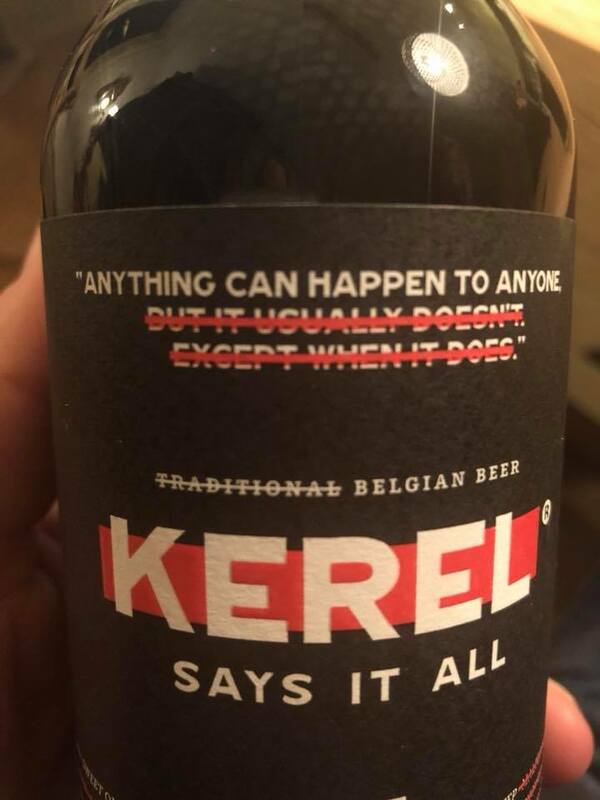 It is relentless. If we let the numbers speak, then in 2018 there were 29 finishers from 70 starters. For 2019 Allan has set up the British Legends Trail Team facebook group. 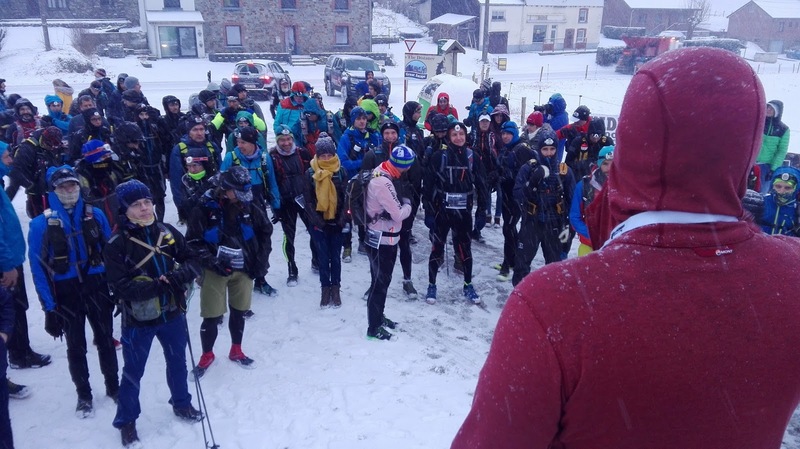 Supported by Tim and Stef, the aim is to share this modern ultra classic with UK Ultra runners. In the past year I've helped several friends from Belgium and the Netherlands in their race skills training build up to their Spine Challenger and Spine Races. All have found their 'Complete Racer' training very useful in helping them race more efficiently. As the race models are similar, Spine finishers should also carry a useful skills set into The Legends. 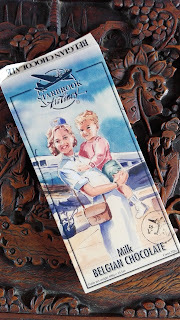 2020 will be the 5th anniversary of the Legends Trail. To celebrate this there will be a 500km edition, an event to truly test the mettle of any ultra runner. So be it 2019 or 2020, Legends Assemble!